Washington, DC (March 4, 2015) – EarthEcho International, the environmental education and youth leadership nonprofit organization co-founded and led by Philippe Cousteau, Jr., will launch the 2015 World Water Monitoring Challenge™ the week of March 16, 2015, by engaging youth around the world to test, monitor and improve the quality of water in their communities. EarthEcho International became the official coordinator of the World Water Monitoring Challenge in January 2015, assuming responsibility from the Water Environment Federation. The World Water Monitoring Challenge is an international education and outreach program that builds public awareness and involvement in protecting water resources around the world by engaging citizens to conduct basic monitoring of their local waterbodies, share their findings and protect our most precious resource. The program runs annually from March 22 (the United Nations World Water Day) until December 31. 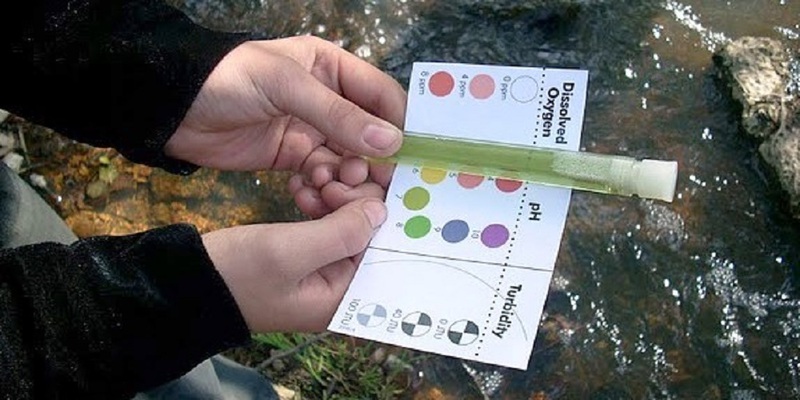 The World Water Monitoring Challenge uses basic test kits provided by LaMotte Company to test and monitor the health of local waterways. Many people are unaware of the impacts their behaviors have on water quality. Conducting simple monitoring tests teaches participants about some of the most common indicators of water health, and encourages further participation in more formal citizen monitoring efforts. Test Kits may be ordered by visiting this page: Order Kits. The 2015 World Water Monitoring Challenge will feature two significant updates. First, this month, participants can download the new World Water Monitoring Challenge mobile phone app, designed to easily enter their real-time water monitoring results directly from their phones as well as collaborate with groups in their communities and around the world. The new World Water Monitoring Challenge app is made available through a partnership with mWater, a technology company that creates mobile data solutions for water, sanitation and health. The app will leverage mWater’s global water database and powerful mapping and offline capabilities. Second, three EarthEcho Action Guides will be available on the World Water Monitoring Challenge Resources page to help participants tackle core issues associated with poor water quality, namely stormwater management, marine debris and wastewater. In partnership with local schools and communities, Cousteau and EarthEcho will host live events to launch the 2015 World Water Monitoring Challenge during the week of March 16-22 in Los Angeles, CA; Dallas, TX; and Washington, DC. Cousteau will lead water quality test demonstrations at each event with participants from local schools, community organizations and environmental research centers. Events in Dallas and Washington, DC will stream live online through Cisco WebEx to registered viewers. The EarthEcho World Water Monitoring Challenge is made possible through the generous support of the Legacy Foundation Fund and Xylem. In addition, the following organizations are supporting the 2015 World Water Monitoring Challenge launch events: Christ the King School, Cisco WebEx, District of Columbia Water and Sewer Authority, Hilton Worldwide, LaMotte Company, Mountains Recreation and Conservation Authority (MRCA), Stephanie & Chris Maxtone-Graham, mWater, Partnership for Los Angeles Schools, Southwest Airlines and Trinity River Audubon Center. EarthEcho International is a leading environmental non-profit organization committed to youth engagement, action and leadership through education. EarthEcho helps young people everywhere understand the critical role we play in the future of the planet through the one thing that connects us all—water. EarthEcho International is a nonprofit 501(c)(3) organization founded by siblings Philippe and Alexandra Cousteau in honor of their father Philippe Cousteau Sr., son of the legendary explorer Jacques Yves Cousteau. For more information about EarthEcho International, visit www.earthecho.org.